A conversation across the Atlantic, between Dr Tony Rousmaniere and Professor Miranda Wolpert. 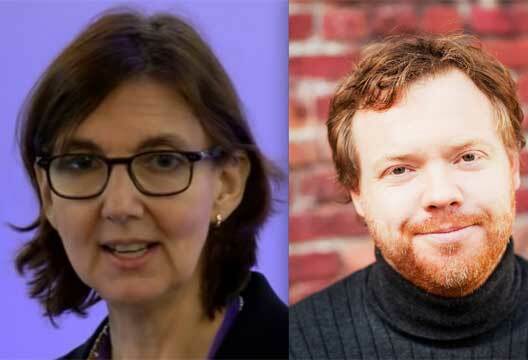 Dr Tony Rousmaniere and Professor Miranda Wolpert are clinical psychologists; Tony is a practicing therapist in the US with adults, Miranda is an academic working on child and young people’s mental health in the UK. They have never met face-to-face but working together on a book, The Cycle of Excellence, they found shared concerns about the need to explore failure, and an interest in understanding why it is so hard to do so. Here’s their correspondence on the topic. I’m sending you my opinion piece from The Lancet Psychiatry last year, ‘Failure is an option’. I call for more open discussion of failure rates in psychological therapy. It is very exciting to find someone else interested in this topic – there are not many in our field! However, I notice that considering failure more generally is increasingly in the ether. Did you see Aidan Horner’s piece in The Psychologist on his negative CV? It seems to me that when people do talk about failure, it does resonate [see also a letter in the January edition], but that people struggle to find ways to articulate it. I feel like we are twins on this topic! I began collecting outcome data in my private practice with adults in the US six years ago. Acknowledging my failure rate – including clients who stalled, dropped-out, and deteriorated – was shocking. I felt ashamed. What was I doing wrong? I was using empirically-supported treatment. My clinical supervisor at the time said that he had a less than 10 per cent failure rate, and that I should expect similar results if I followed the model. I initially hid my results out of shame. But it was too painful and isolating to live with my failure secret alone so, after some time, I mentioned it quietly to a few colleagues. Some looked at me with pity. But other therapists acknowledged their own failures, often with similar shame. I quickly realized that I wasn’t alone. Then I discovered research literature that showed I actually had an average failure rate (e.g. Wampold & Imel, 2015). If I was average, then why did I have so much shame? Seeing that my experience was common prompted me to ‘come out of the closet’ and start sharing my failure and success rates online (www.drtonyr.com/Outcome-Data). Last year I published a book on this topic: Deliberate Practice for Psychotherapists: A Guide to Improving Clinical Effectiveness. 1. Improved self-esteem and self-compassion that comes from a more balanced and realistic view of ourselves and our work. 2. A shift in my focus from worrying if I am a good or bad therapist, to focusing on gradually getting better through continuous deliberate practice (Rousmaniere, 2016). 3. More enjoyment from my work as I am relieved of the impossible pressure to heroically save all of my clients. 4. More open and close relationships with my colleagues. Openly sharing our challenges and failures together helps us bond and support each other. 1. It lets the client know that we can be honest with each other about the potential for failure. 2. It signals to the client that we are taking the gravity of their challenges seriously. 3. Talking about failure frankly helps the client see that they don't need to rescue me – the therapist – by pretending to be getting better when they are not. 4. It signals to the client that they can't expect me to rescue/save them because I am not superman. This encourages some clients to step up more for themselves. So interesting to hear your lived experience. As someone who is now not in direct clinical work I can feel a bit of a fraud myself at times talking about this – easy to pontificate to others on the need to be up front about their failures (as a respected colleague pointed out) – so it’s good to learn from your positive experiences. I became interested in this when I was working clinically with children and families in the UK’s NHS a decade ago. I noticed that many of the families I saw dropped out and did not come back. I had no idea if I had helped these clients at all, or if other therapists could have helped them more. I started to try to collect outcome data. With some colleagues, I founded a learning collaboration dedicated to collecting patient report data to help us better understand the impact of therapy – the Child Outcomes Research Consortium (CORC). I left clinical practice and moved into training and research, but continued to focus on outcomes of therapy. After a decade of collected outcome data we published our first report of national findings last year. To our surprise we found the majority of children seen in routine care were not symptom free at the end of treatment and only half showed substantial improvement on self-report measures (Wolpert et al., 2016). We were acutely aware that the data we were drawing on was limited with much missing data and many other flaws – so much so that we have coined the acronym ‘FUPS’ to describe data that is ‘flawed, proximate, uncertain and sparse’. However, we are also aware that is easy to dismiss uncomfortable findings as due to the FUPness of the data. When I started to explore literature on this from other areas in the world I found similar findings but all presented with shame and uncertainty. This led me to develop some ideas on how this might inform practice, particularly with regard to developing more prognosis-focused practice, but as a non-practising clinician I am aware these are ideas awaiting testing. Therapists could use different imagery to consider likely trajectories of change. At CORC we are experimenting with different ways to do this. For example, CORC have introduced mugs showing trajectories over time. What you are proposing ties in with my approach. Yet like you I have found many colleagues still concerned and sceptical. We live in an age of health care accountability. We expect physical health care providers to acknowledge success and failure rates. Why not therapists? One common reason cited for not talking about failure is that we worry about turning clients off from treatment or reducing hope. However, consider this: if you went to a doctor for cancer treatment, would you feel more confident if the doctor said, ‘I succeed with 100 per cent of my patients’ or if the doctor acknowledged a realistic chance of failure? By acknowledging failure openly, we may be able to experientially help our clients face their immense challenges with courage and resolve. As you have written, not acknowledging the limits of treatment or talking about failure may paradoxically leave both therapists and clients more demoralised, ashamed and self-blaming when failure does occur. Yet there is still little space in the therapist community to discuss failure. Academic and practitioner conferences are like fashion shows: therapy models are presented by emphasizing the benefits, without mentioning their limitations. In general, the only time treatment failure is mentioned is in discussions about other models, with presenters often noting they were the last therapist in a long line of ineffective treatment. I have been mulling on why this is such a taboo subject. I wonder if this is in part because: (a) we are emotionally invested in success (therapists join the profession to help people); (b) political battles between treatment models discourage acknowledgement of failure by leaders in the field; (c) the lack of agreed criteria on what constitutes success allows us to continue to duck the issue; (d) therapists are worried about removing hope from already very distressed people; (e) we can’t cope with the narcissistic wound of not being able to help people. I share your hypotheses as to why this may be such a hard topic to explore and wonder whether – particularly in the UK in a publicly funded context under immense pressure – we are worried funding or jobs will be cut. The fact that in the UK service contacts may be limited by resource allocation, rather than estimates of individual need, may also add complexity to therapist and client feelings about talking about limits and failures, which may be seen as simply an excuse for less provision. The desire to shield and protect young people may be an added challenge in youth work. There is no doubt there are many barriers in the way of taking this agenda forward. However, I think it is worth trying. Openly considering the limitations of therapy offers benefits for both clients and therapists. Hopefully the culture of mental health can change from denial and shame to openness and honesty about the limitations of treatment. This could open doors to creative, enlarged ideas about how we can help our clients live meaningful lives. Furthermore, it could help therapists develop a more grounded and self-respecting professional self-identity. Onwards with the revolution to become limitation-acknowledging and failure-facing! - Miranda Wolpert MBE is Professor of Evidence Based Practice at the Faculty of Brain Sciences in UCL www.ucl.ac.uk/ebpu and Director of the Child Outcomes Research Consortium (CORC) www.corc.uk.net . Miranda also provides advice and input to NHSE and UCLPartners. This article is written from her personal perspective and does not represent the views of any of the organisations she works for. - Tony Rousmaniere, PsyD, is Clinical Faculty at the University of Washington in Seattle, where he also maintains a private practice. He is the author of the book Deliberate Practice for Psychotherapists: A Guide to Improving Clinical Effectiveness (Taylor & Francis) and co-editor of the volume The Cycle of Expertise: Using Deliberate Practice in Supervision, Training, and Independent Practice (Wiley Press). Video interviews with Dr Rousmaniere can be viewed at www.drtonyr.com/for-professionals. Dr Rousmaniere provides clinical training and supervision to therapists around the world, with an emphasis on using deliberate practice to improve the effectiveness of clinical skill development. - Both Miranda Wolpert and Tony Rousmaniere are writing in a personal capacity only; their views are their own and do not represent those of any organisations they work for. Rousmaniere, T.G., Goodyear, R., Miller, S.D. & Wampold, B.E. (in press). The Cycle of Excellence: Using Deliberate Practice to Improve Supervision and Training. London: Wiley Publishers.